We have recently reopened, having undergone Under total refurbishment, and serve great home cooked food at lunchtime and in the evening. Come and enjoy our lovely homely feel, we look forward to welcoming you soon! WE CATER FOR YOU'RE EVERY NEED!!! 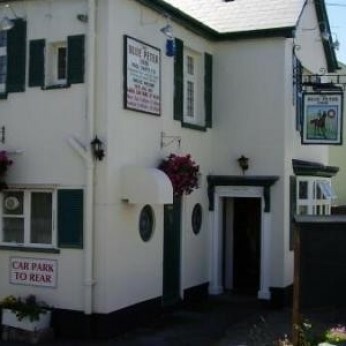 A SPACIOUS VENUE THE BLUE PETER INN OFFERS THE PERFECT PLACE FOR YOU TO COME AND UNWIND. WE HAVE A LARGE CAR PARK AND BEER GARDEN WITH OUTSIDE SPEAKERS FOR THOSE SUNNY AFTERNOONS!! OUR LOUNGE PROVIDES A RELAXED ENVIRONMENT FOR THOSE THAT JUST WANT A QUIET DRINK!!... IS USED BY PAUL THE CHEF OF FATTIES DINER ;) IT IS ALSO AVAILABLE FREE OF CHARGE FOR PRIVATE FUNCTIONS!! !